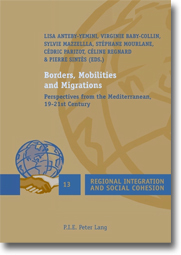 This book explores changes in the social, economic and political processes underpinning the mechanisms for the management of human mobility and cohabitation in the Mediterranean region, while suggesting comparisons with the situation in the Americas. It considers the public policies that introduce such mechanisms at state, region or city level, and also explores the way that populations adapt to, breach or find ways of working around these systems. The volume also attempts to evaluate the extent to which the reactions of the populations concerned can influence such systems. Relying on a historical perspective and covering a broad period of time from the nineteenth to the twenty-first century, this book questions the increasing influence of processes born out of globalization upon present readjustments of mobility and territorial configurations.